Free Service Quotes. Call Today! Momentum Air Heating and Air Conditioning was started by Group of entrepreneurs with the mission to provide families, and commercial clients exceptional customer service. Momentum has become the rising star of heating and air conditioning in Florida by devoting to our mission to exceed every customer’s expectations. Our commitment to providing exceptional customer service starts with having over 600 properties fully maintenance by our expertly trained, manufacturer certified technicians. We sell and service every major air conditioning brand at the best prices, delivered and installed on time. That’s why we’re the only heating and air conditioning company to provide a $500 best price guarantee and unique maintenance agreement with labor cost included . We are committed to giving our customers a quote within the first day and installation the next day. We provide 24/7 service and never charge an overtime fee. Momentum AC has founded and developed as 100% employee-owned company so every person you deal with at Momentum AC is an owner. The Momentum AC team is devoted to enhancing our capabilities to better serve our customers. At Momentum AC, customers can communicate what they want, when they want it, by a variety of means (phone, email, and on our website), and they can pay for it from a list of options that best fit their circumstances. 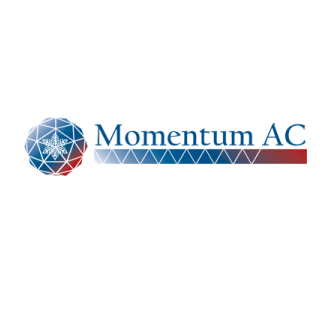 Please browse through our website or call us at 1-877-848-4822 to get more information about what Momentum AC has to offer and how we can best serve you. We want to thank you in advance for showing interest in our services and our company.